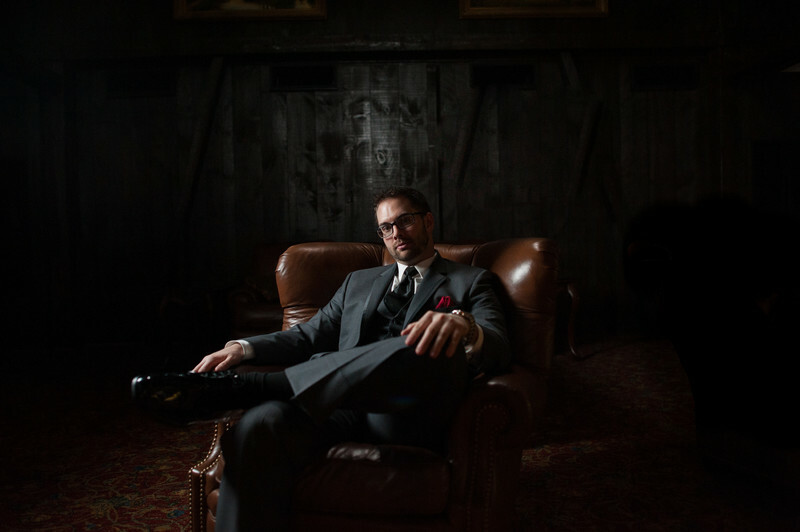 It's all business in this photograph of the handsome groom at this Montgomery County wedding. Located at Normandy Farms in Blue Bell, this low-lit photograph reminded us of a British Gentleman's Club. Location: 1401 Morris Rd, Blue Bell, PA 19422.